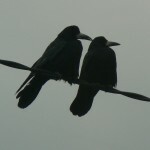 The picture of the two rooks is not great but I like the way they are just hanging out on a grey day. I have read that Rooks mate for life, so this may be an old couple just enjoying each others company and watching the world go by. 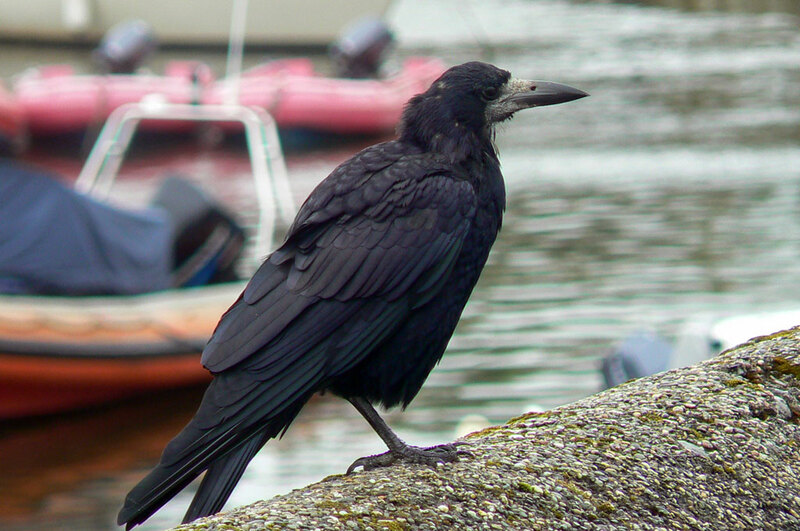 The rook by the harbour was pretty street wise, just waiting for his chance to swoop in when someone dropped their ice cream or chips. 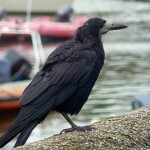 This entry was posted in Birds and tagged Bird, Rook on January 19, 2010 by admin.